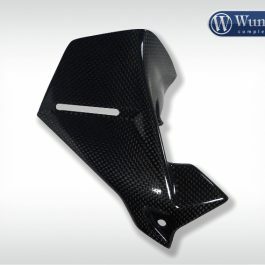 This cover made of perfectly crafted carbon fits around the rear axle/Kardan drive and protects the Kardan housing and Kardan joint from stone impacts. 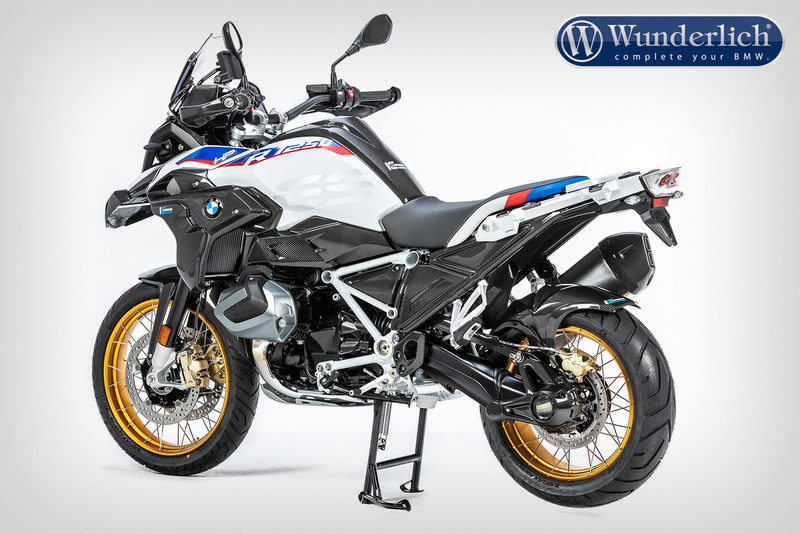 Effective protection both on the road as well as in active off-roading. The cover is mounted on the original attachment points. 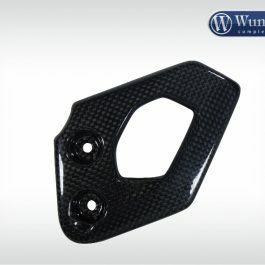 Ilmberger uses pre-impregnated carbon fibre matrices for the high-quality carbon. The fibre volume is dimensions and the alignment of the individual fibres is defined. The matrix is then laminated bubble-free by hand and coated twice with a protective layer. The added clear varnish layer protects and emphasises the three-dimensional effect of the carbon structure. After hardening in the autoclave, the carbon components satisfy even the highest demands and requirements. 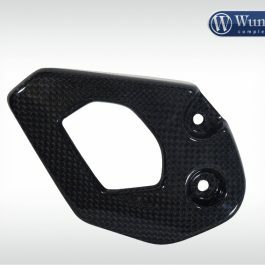 This space age material unfolds its full potential with up to 70% weight decrease compared to the standard part and its weight-specific stiffness. 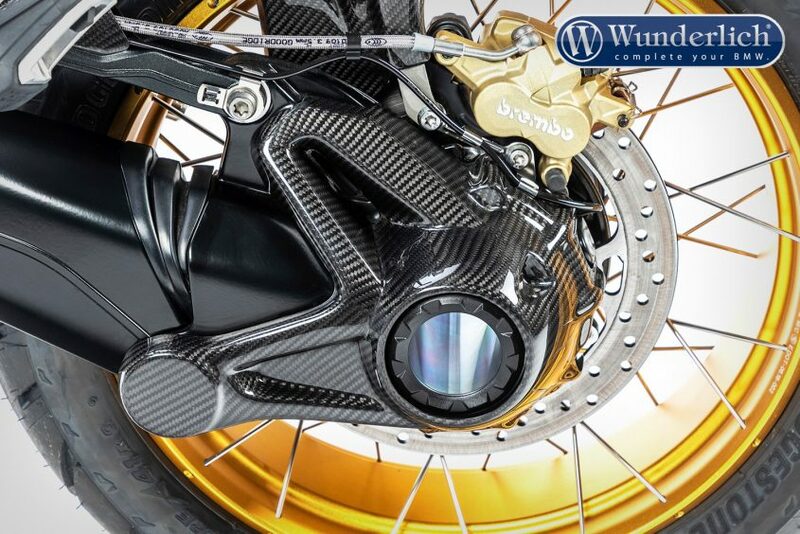 Form follows function here and integrates optimally into the design of the motorcycle. The contours of the machine are incorporated as well as the material and surface texture of neighbouring series components. 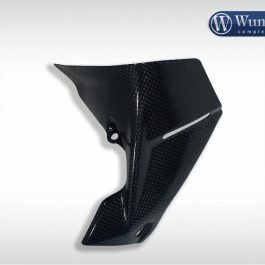 This carbon component underscores the high-tech claim of your BMW with the unique appeal of real carbon. Be the first to review “Ilmberger Kardan housing cover – carbon” Click here to cancel reply.